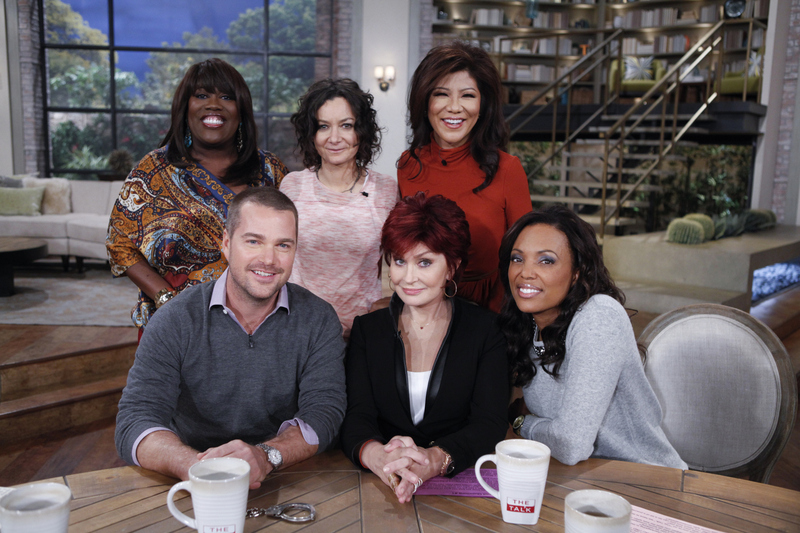 Actor Chris O'Donnell of CBS's "NCIS: Los Angeles" is a guest on THE TALK, Tuesday, November 20, 2012 on the CBS Television Network. Sheryl Underwood, from left, Chris O'Donnell, Sara Gilbert, Sharon Osbourne, Julie Chen and Aisha Tyler, shown. Photo: Lisette M. Azar/CBS ©2012 CBS Broadcasting, Inc. All Rights Reserved.